He makes me so proud of myself, and he makes me like myself so much. And I’ve always liked myself. I’ve never not liked myself. I don’t have hangups like that. But I’m so proud of myself that I made him in my belly. Cooked him in my belly and then he came out of me! This human who’s suddenly walking around and doing his own thing. I can’t wait to know who his best friends are going to be, who his girlfriend or his boyfriend is going to be or what movies he likes… Whatever my kid wants to do or be I will always support him no matter what. There are so many wonderful parts of this quote; I don't even know where to begin. It's awesome that in the past three years, little Angelo helped Adele (an already self-confident individual) love herself more — and he's even inspired her music. But I have to say, my favorite part is the nonchalant comment about being excited to meet whoever he winds up with romantically — whether a girlfriend or boyfriend. She's acknowledging that either scenario is equally plausible and acceptable. I think all parents should be as open-minded and accepting as Adele. If you try to intrude or come near my family, I’m a lioness. Especially because my boyfriend isn’t famous. So I think it’s really unfair for anyone to want unlimited access to my family when we’re not a brand ... I don’t want my family to be part of my package. If my kid decides that when he’s old enough to make his own decision that he wants to be known for being my kid, I’ll be annoyed, but I won’t stop him. I’ll be like, "It’s your choice now." But this was my dream. This isn’t theirs. I love that she recognizes that her dream isn't necessarily the same as theirs. She still encourages her son to be his own person, which is awesome. She also says that she wants him to be humble, explaining, "I’m very self-conscious that I have a kid, and I don’t want him being one of those dickheads, who grows up being, like, 'Driver, driver!' I have no clean clothes! Well, have you washed them? I really don’t want him growing up like that." Sounds like she's raising him right. Despite her enormous amount of fame, Adele admits she spends most of her free time with her boyfriend and son. The only other person on her priority list? Beyoncé. Speaking of rumors that the two would collaborate, she says, "Whoever started that rumor must have been having a laugh because anyone who knows me knows that my main priority in life outside of my child is Beyoncé." 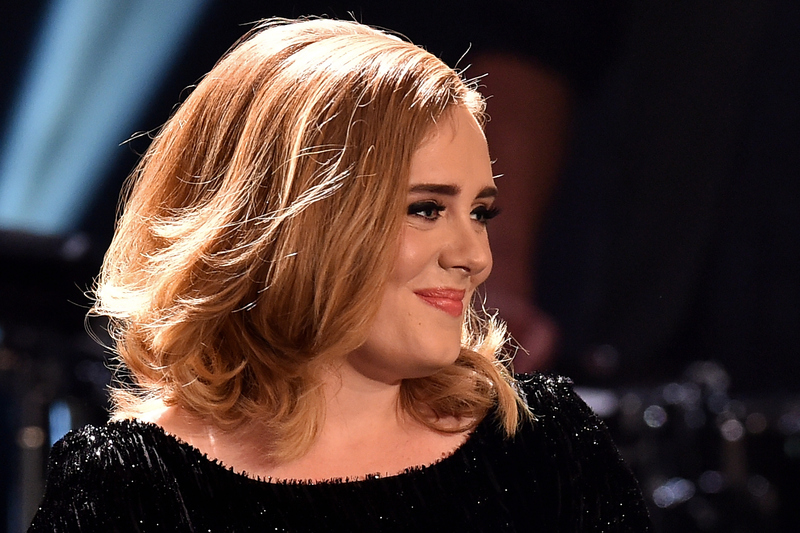 And once again, Adele speaks the truth — she's as much of a Beyoncé fan as the rest of the world. Fingers crossed that they do a duet in the future! All in all, Adele deserves a trophy for parenting, just as much as she deserves every award she gets for singing. She's really setting a great example when it comes to family.